If you live in a place that gets taken over by bad weather during the winter, then the offseason in the food truck industry can be a very unmotivating time. After all, there is nothing worse than you and your employees cooking up a storm in the kitchen (mostly prep stuff, because you cook your food fresh, right?) and then customers not showing up to eat this delicious food. 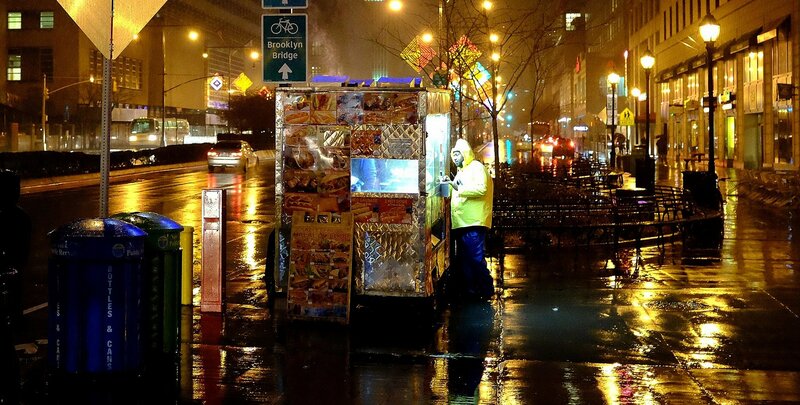 Even worse is when you can’t even open up your food truck because winter is really taking over. The key during this time is to not only have a plan, but to try and stay motivated as well. If you live in a place where cold temperatures and snow really take over during the winter, then your plan might be winterizing your mobile kitchen and taking the season off. However, if you plan on staying open all winter long, then you have to stay motivated, and the tips below should help. ‘Tis the season. Now that the holiday season is among us, you might as well go with the flow. Depending on how your year went, the holiday season could be the perfect time to look back and reflect on what a great year it was for your food truck business, or it could be the perfect time to look back and figure out how you can do better next year. Regardless, the holiday season is here, so you might as well get into the holiday spirit. Not only will this motivate your employees, but it will more than likely make your customers happy as well. After all, having an amazing food truck environment could be one of your biggest secret weapons. You May Also Like... Happy Holidays From FoodTruckr! Let’s face the facts. It’s hard not to be motivated when you are happy, your employees are happy and your customers are happy. Set the mood by being cheerful during this time of the year. If nothing else, what do you have to lose? If business is slow, then stop waiting for your customers to come to you and start going to them. You can achieve that feat by incorporating catering gigs. Not only will this help when it comes to changing up the pace, but it will lead to you making more money, adding another stream of income and branching out by reaching a different audience. Not to mention, one catering gig could lead to another catering gig if your food truck knocks the first gig out of the park — and it will, of course. This is your business, and if things are slow and money is a serious issue as a result, you have to brainstorm all of your options. One of the best things about owning a food truck is the fact that it is mobile. So instead of sitting in one spot, you can move around. Catering gigs provide the perfect opportunity to do just that. The key during this time is to not get complacent. Stay motivated, stay hungry. Take your business to the next level by expanding your catering business during this time. It could lead to more customers and more revenue, which has motivating written all over it. RELATED: Tips For Food Truck Owners Who Are Struggling To Retain Customers. If you are struggling to retain customers, then you need to figure out why this is happening. On top of that, you can read this article and learn how to start luring in customers. If things are really going slow, then take a break/vacation. A vacation will allow you to escape from work and enjoy life. If you are a successful food truck owner, then a good portion of your life is likely spent at your truck. A vacation is the perfect time to refresh the mind. When you come back, you will be motivated to work and crush your goals and dreams. Even if things are running smoothly during the winter, you still need to find some time to take breaks. That’s how you keep your sanity. Therefore, you should still find time to take a vacation, even if it is just getting away for a couple of days. Remember, a vacation doesn’t have to be a trip to Hawaii (how awesome would that be?). It could simply be you taking a couple of days off from work and getting some much-needed relax and refresh time in. Even if you love being a mobile catering owner, you still likely get burned out from time to time. Going on a mini-break will help you gain the motivation you need to conquer the offseason. If your employees are happy and motivated, then coming to work every day is going to be a real treat. 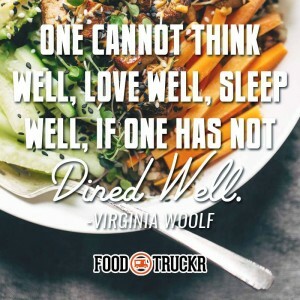 However, if your employees are burned out from work, then your food truck environment might take a hit, and that is why you need to encourage your employees during this time. You can achieve that feat by giving them necessary days off, making work fun for everyone involved, implementing an employee of the month award, dishing out bonuses and the list could go on and on. This doesn’t mean you should be throwing money out left and right, though. If your employees earned it, then reward them. If not with money, then do it with time. If you don’t want to give them extra days off, then let them come into work late or leave early. Little things like that go a long way when it comes to keeping your employees happy and motivated. Heck, even decorating your truck during the holidays and playing holiday music could go a long way. Do whatever it takes to encourage your employees. If they are happy and motivated, it will really show, and customers will flock to your truck once again. Also, if you are motivated and doing your best work, your employees will see this and likely try to duplicate those efforts. RELATED: How To Find The Perfect Location For Your Food Truck. New to the food truck industry? Struggling to find the perfect location? We’ve got you covered. When all else fails, you need to think about why you wanted to be here in the first place. What made you want to join the food truck industry? Was it because you were in a terrible situation from a job standpoint? In other words, was it because you hated your last job? Was it because you wanted to finally follow your dreams? When you are truly unmotivated, revisiting your goals and dreams is one of the best things you can do to find that all-star motivation once again. The key is to try to get back into the mindset you had when you created your goals and dreams in the first place, and you do that by figuring out why you made said goals and dreams to begin with. It’s tough to get motivated when you are working your tail off and no one is eating at your lunch truck thanks to the winter, but you have to keep moving forward. If not, then your goals and dreams might become a distant memory, and you might not make it as a mobile kitchen owner. Use this extra time during the winter to reflect on your business, your life, your goals, your dreams — everything. Pull out the positives and then apply them to your current and future situations. You can — and will — survive the offseason.